Wissenschaftliche Veröffentlichung im International Journal of Cultural and Creative Industries (IJCCI volume 1, issue 3, July 2014): »The Curator is Present - [Ex]changing Roles of Curator and Artist: Hans Ulrich Obrist and Marina Abramović«. To what extent do the lives and works of Hans Ulrich Obrist and Marina Abramović reveal the changing roles of curators and artists since the 1960s? 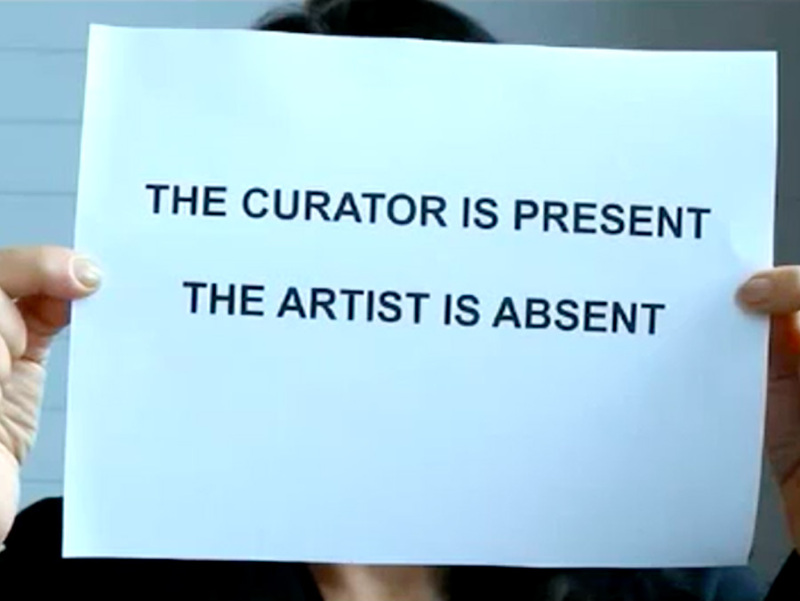 Can the performance of The Curator Is Present be seen as an example of an exchange of these roles? The works of Obrist and Abramović, especially some of their printed conversations (Abramović & Obrist, 2010), Abramović’s video-portrait of Obrist The Curator Is Present (Abramović, 2010), and the observations of their colleagues, in many disciplines, not just the art world, show the extent of the exchange and expandability of the roles of curator and artist. This brief review of some elements of the lives and works of Hans Ulrich Obrist and Marina Abramović investigates the traditional and contemporary roles of curator and artist. Furthermore it reveals the extent to which these roles are being changed in the field of Contemporary Art.